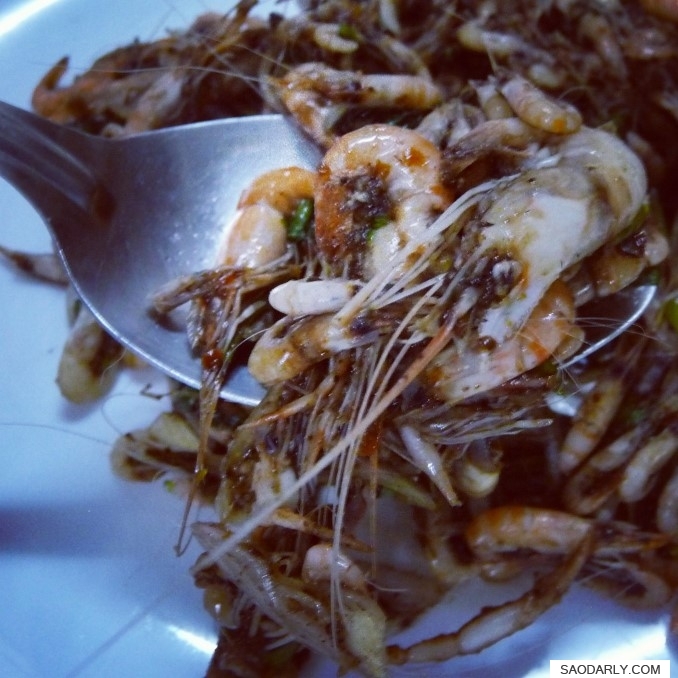 Larb Koong (Larb Shrimp) or Sao Noi Disco (Dancing Shrimp) for dinner in Vientiane, Laos. My two aunts are not fond of eating the dish while they are alive and jumping away. 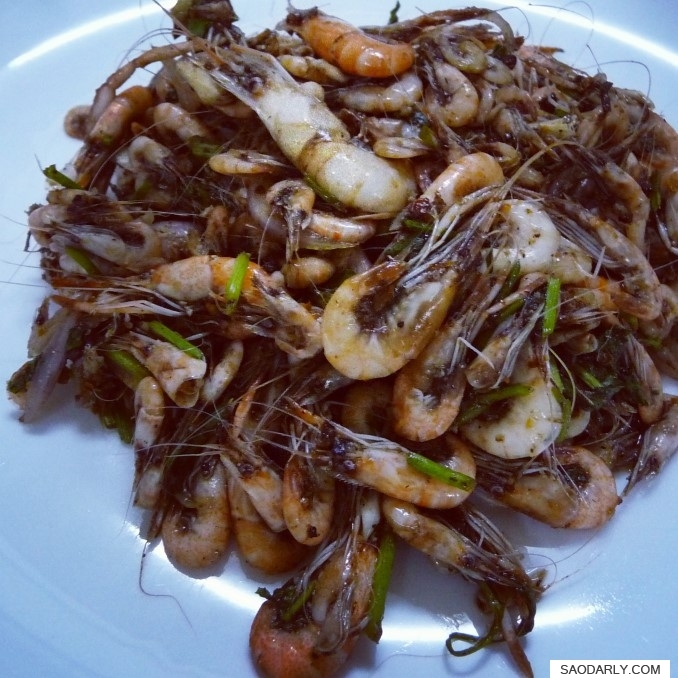 They made sure to fully cooked a plate of Larb Shrimp for themselves.